The Roth Brewing 3rd Annual Wings Festival brought hundreds of people together to drink craft beer and eat an unlimited amount of chicken wings. 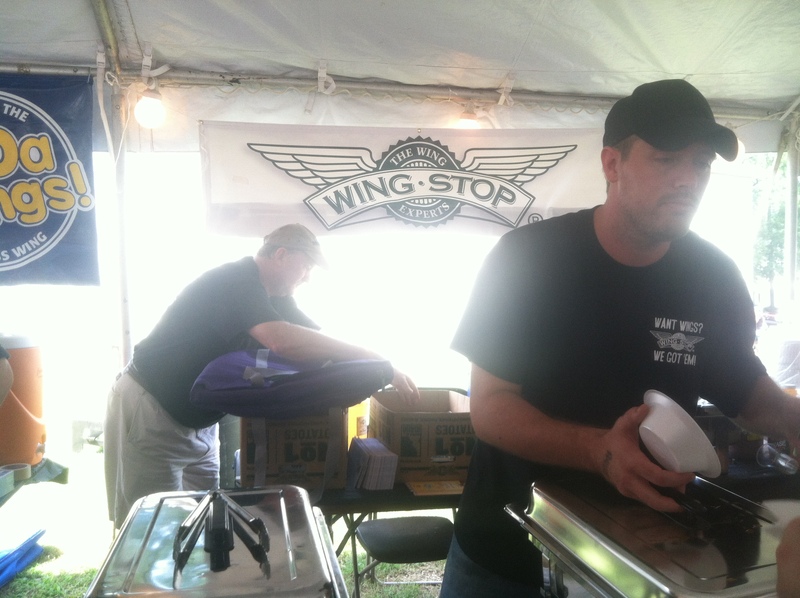 The festival was held on Sept. 8, noon-4pm featuring local restaurants dishing up a wide variety of chicken wings. Local bands also played on a stage outside to entertain the mob of Foodies and chicken wing connoisseurs. 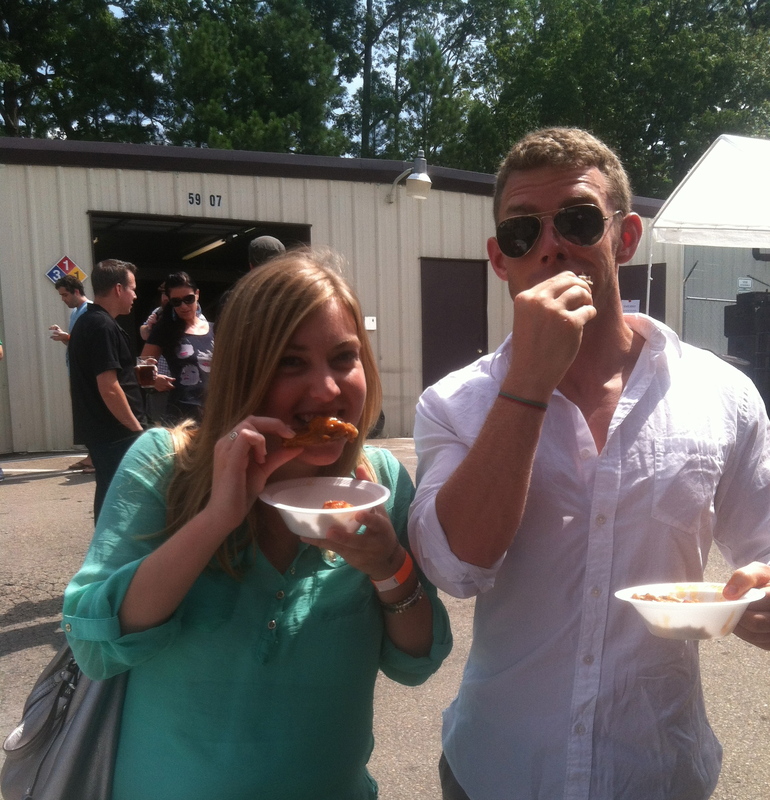 Josh and I sampled every chicken wing each of the 10 vendors had to offer. The local restaurants and food trucks at the festival included Valentino&apos;s, Carolina Ale House, Fox and Hound, Wing Stop, Buffalo Brother&apos;s, Ba-Da Wings, Wing Zone, Gorman Street Pub, Hooters and Big John&apos;s. Each vendor offered anywhere from two to five flavors of chicken wings. You got that right, Josh and I practically ate our weight in chicken wings! Thank goodness we came hungry. The first chicken wing I sampled was Valentino&apos;s Forgotten Foul, which used Roth Brewing&apos;s Forgotten Hollow Cinnamon Porter. 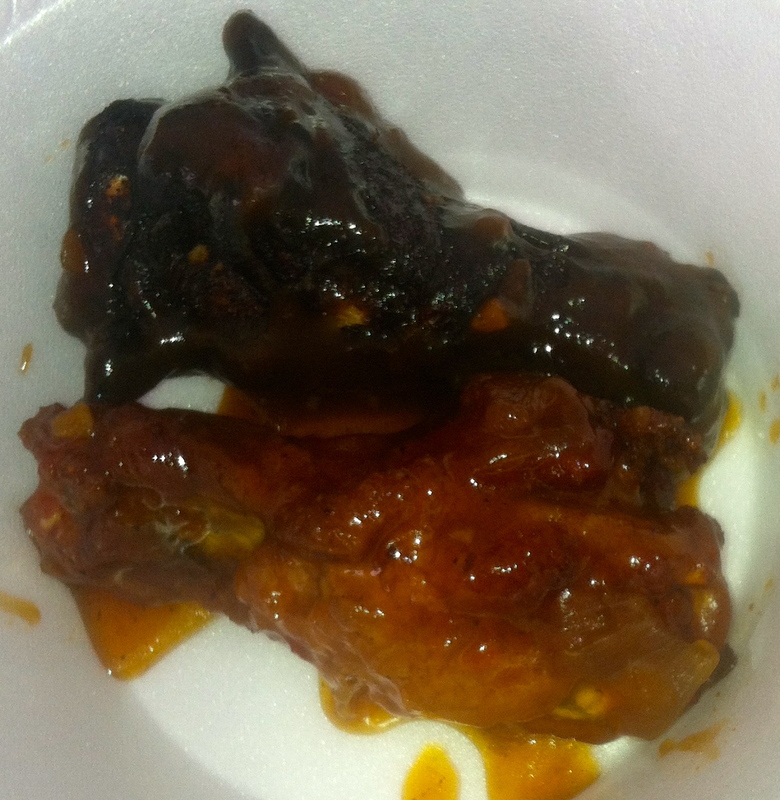 The wings were sweet and had a generous amount of sauce. 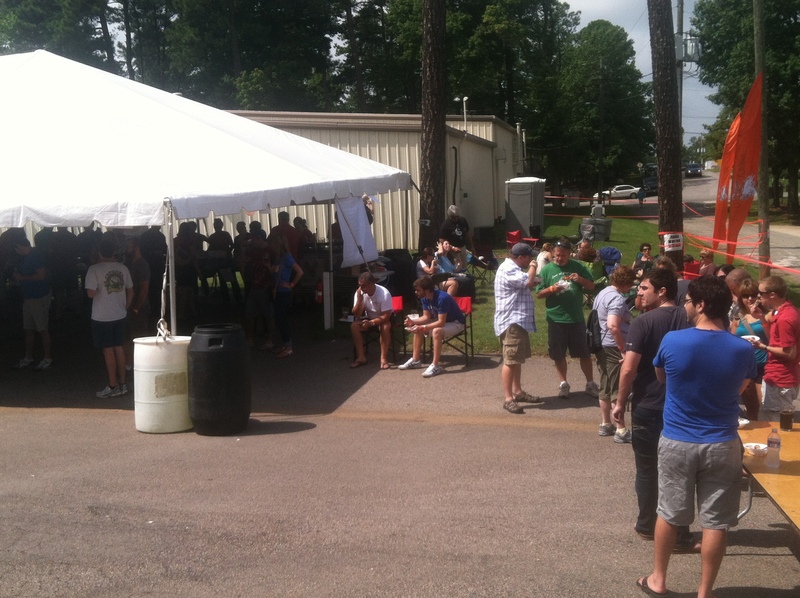 The 3rd Annual Wings Festival is the time honored release party for the brewery’s famous porter. I appreciated Valentino’s incorporating this beer into their chicken wing sauce. Back in college I used to frequent the Carolina Ale House for late night chicken wings. 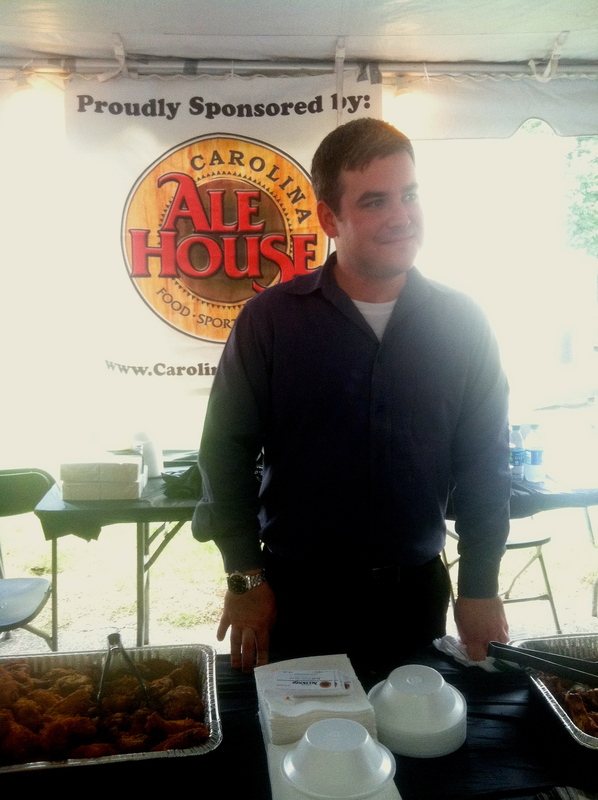 I was excited to see the Carolina Ale House being represented at the festival. My favorite was the dry rub, a perfect combination of herbs, spices and butter. The wings were meaty and I would have gone back for seconds if I didn&apos;t commit myself to eating every wing available at the festival. Fox and Hound’s spicy garlic was one of the highlights of the festival for Josh. The sauce had an excellent amount of heat. Plus, everything’s better with garlic, right? My favorite chicken wings of the day have to be from Wing Stop. The Louisiana rub and lemon pepper made my mouth water. Josh actually went back for seconds, which is definitely saying something! When it came down to voting for the best wing, it was Louisiana rub all the way. Most of the wings we ate throughout the day had a lot of sauce but the Louisiana rub still brought the heat and spice without a sauce overload. 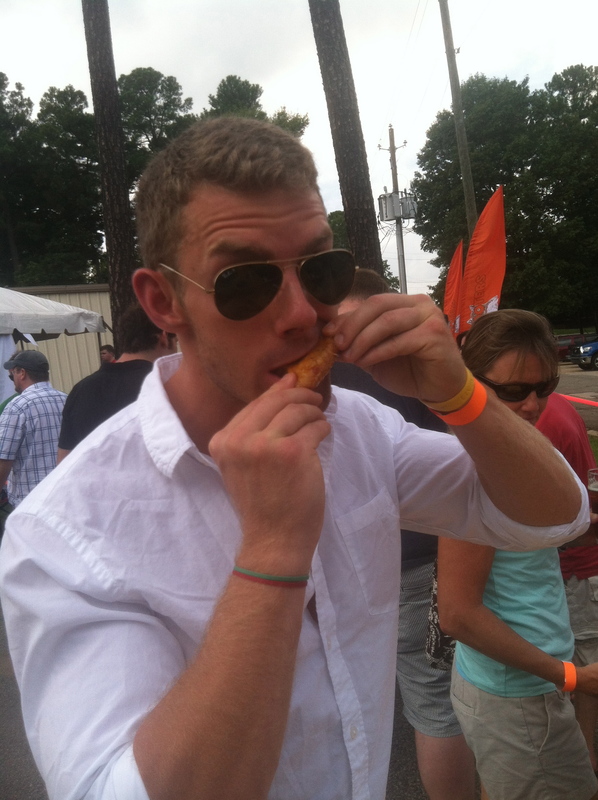 The employees were hard at working dishing out chicken wings being devoured by the crowd of hungry Foodies. We are fortunate to live in Raleigh, a city becoming a mecca for craft beer enthusiasts. 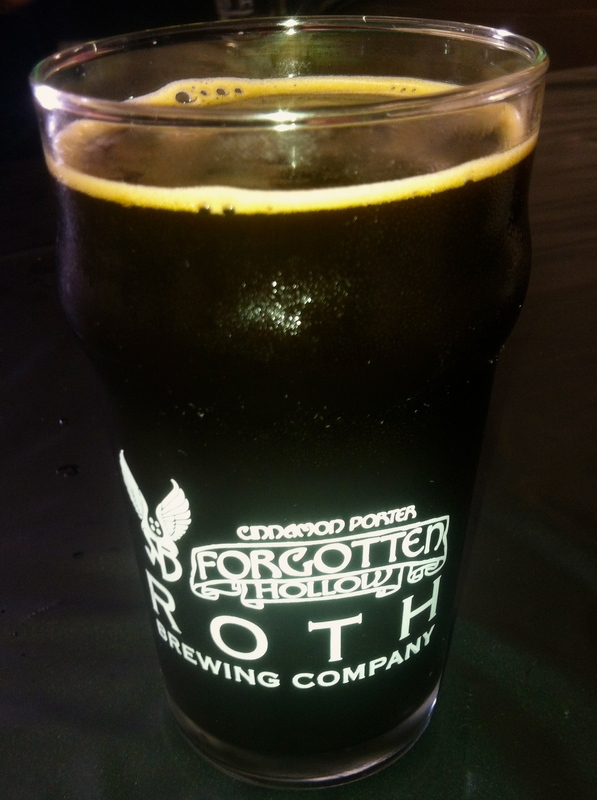 Roth Brewing’s Forgotten Hollow Cinnamon Porter is definitely a beer I dream about all year. The first cold front or sign of fall means that this dark, sweet cinnamon porter will be released in no time. I received a commemorative glass at the festival and filled it up with a pint of Forgotten Hollow. I was one happy girl. 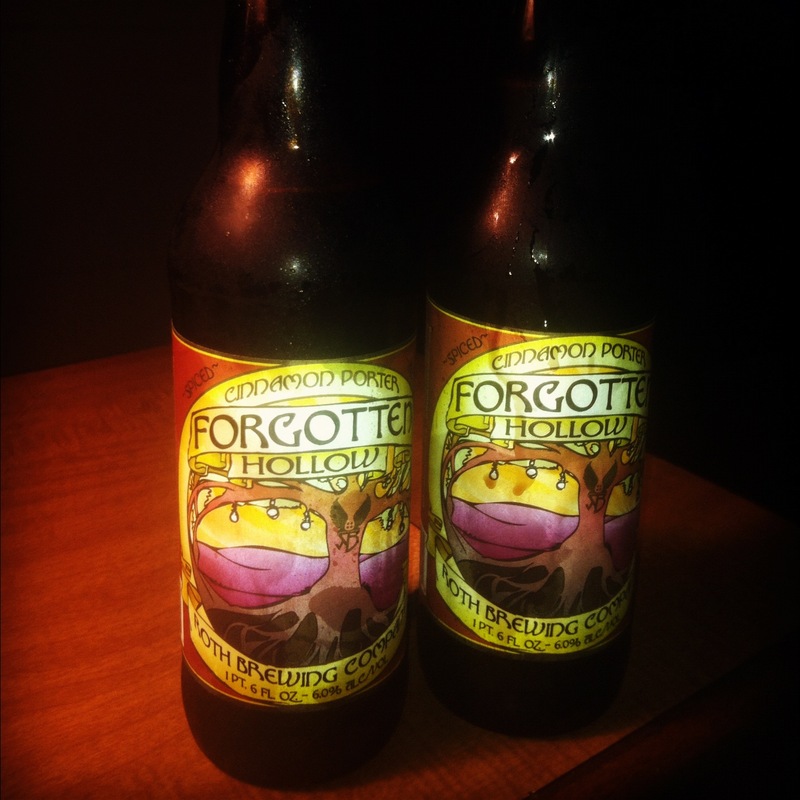 Be sure to pick up Roth Brewing&apos;s Forgotten Hollow this fall, it&apos;s definitely a seasonal North Carolina beer you won&apos;t want to miss. You can also take a tour of the brewery, which run every Saturday at 4pm. Bring on the fall and cinnamon porter, cheers!